It’s the time of year when Cicily Bridal opens it’s Wedding Dress Sale Cabinet. 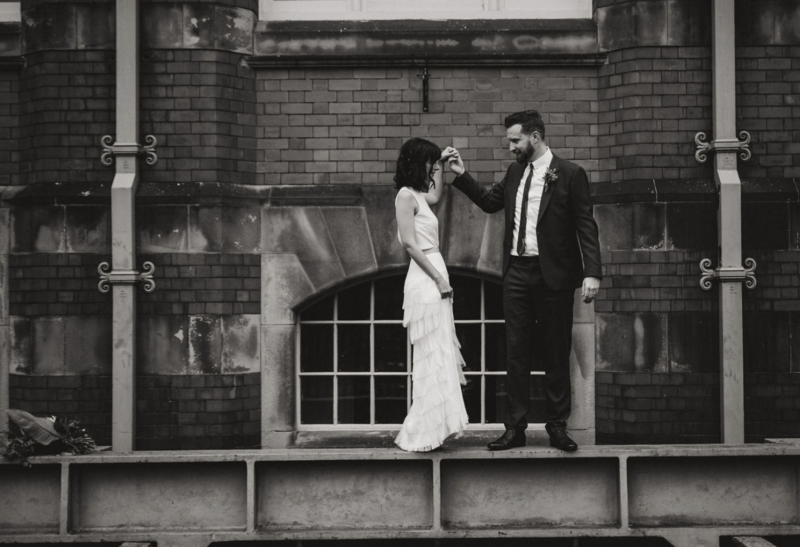 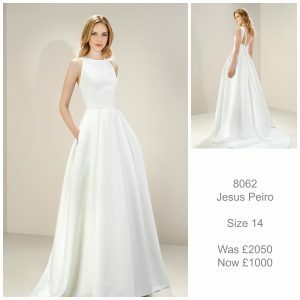 In Spring our wedding dress designers decide to say goodbye to some of their wedding dresses in their collection which means that we can no longer order them for brides. We also need to make room for new season wedding dresses so have to make the very difficult decision to say farewell. 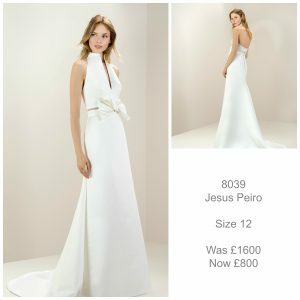 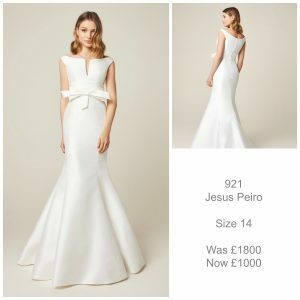 Yes, it can be sad to say goodbye to these beautiful wedding dresses but it also means that these stunning wedding dresses are now available at amazing prices. 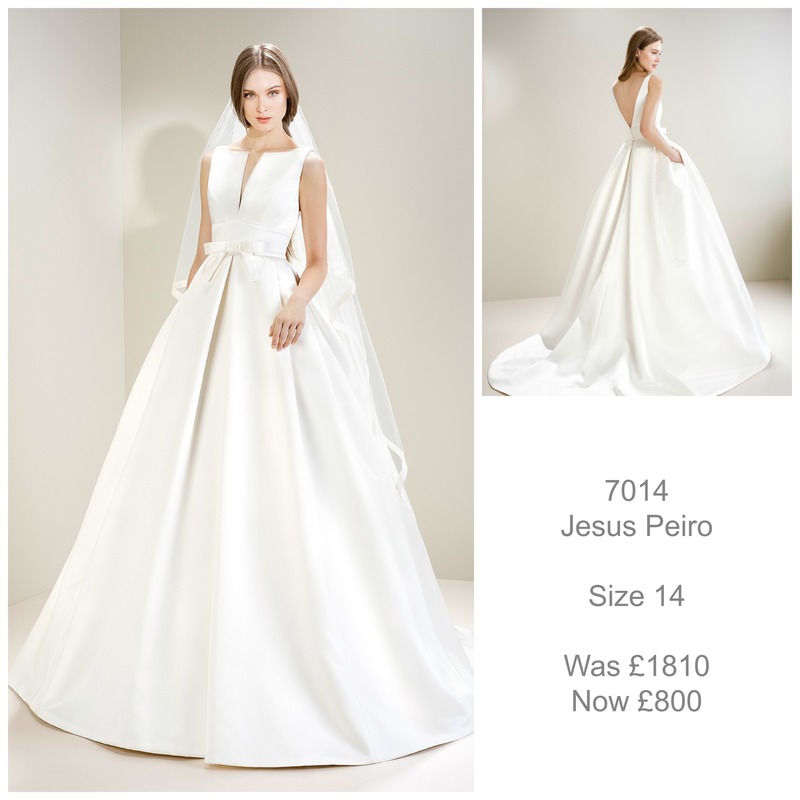 Our sale wedding dresses cover every type of wedding dress styling that a bride is looking for. 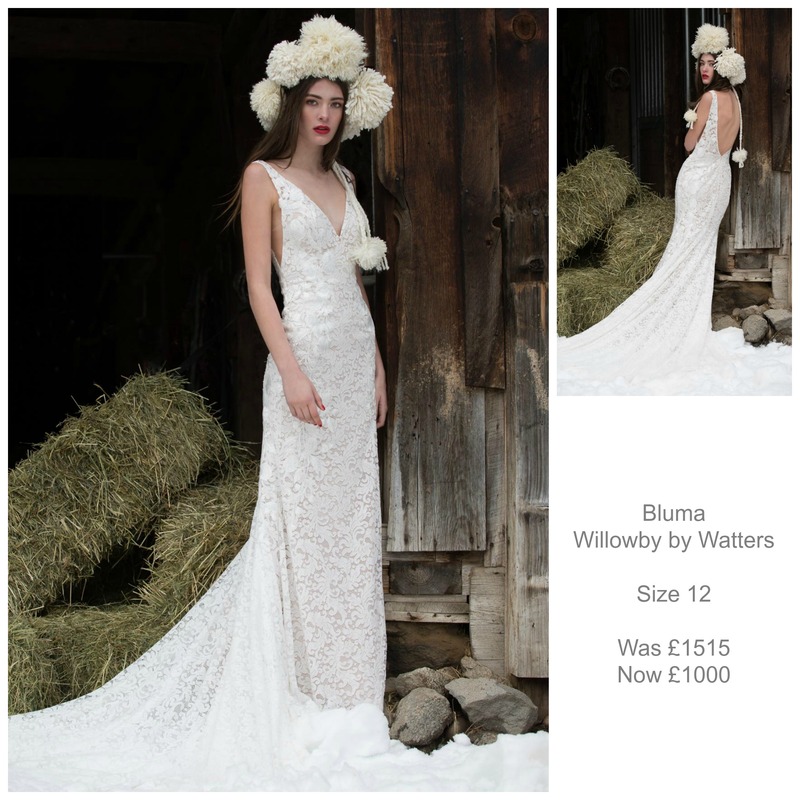 If you are looking for a vintage inspired wedding dress then look no further than the gorgeous Bluma from Willowby by Watters. 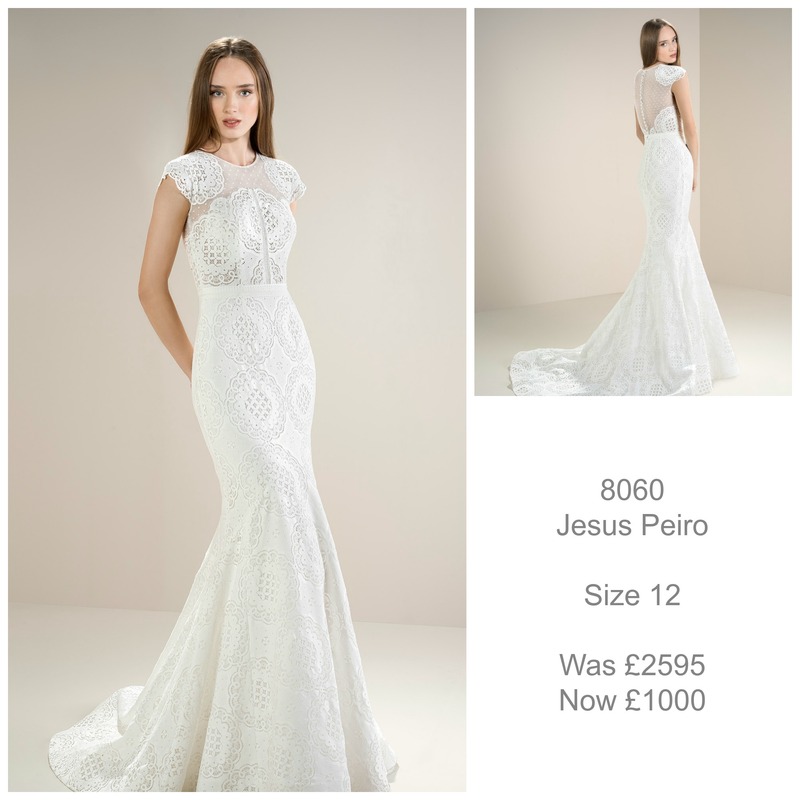 This dress is covered in beautiful soft lace and applique detail with a dramatic cathedral length train. 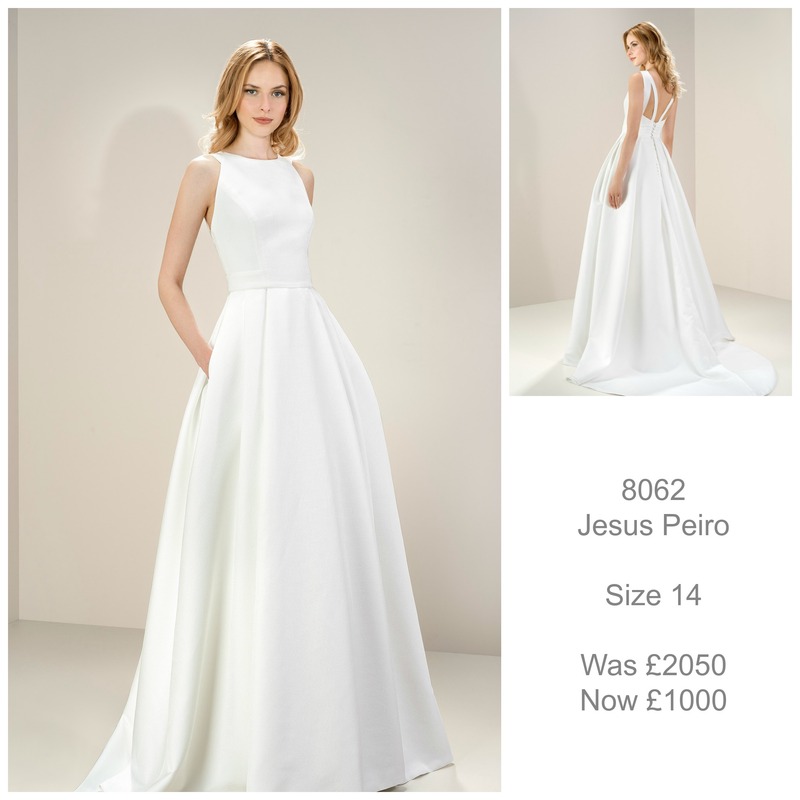 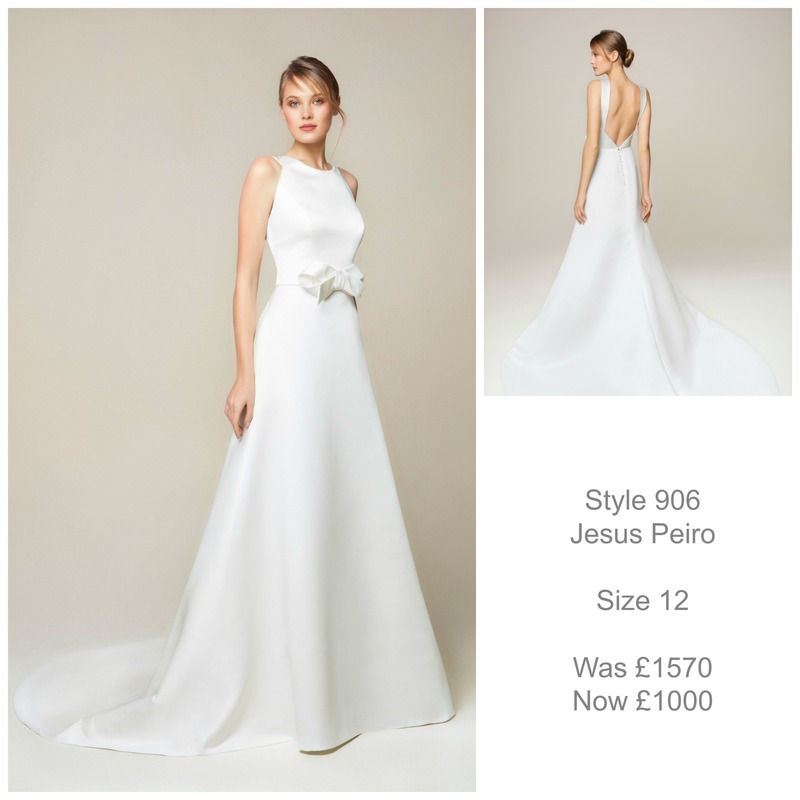 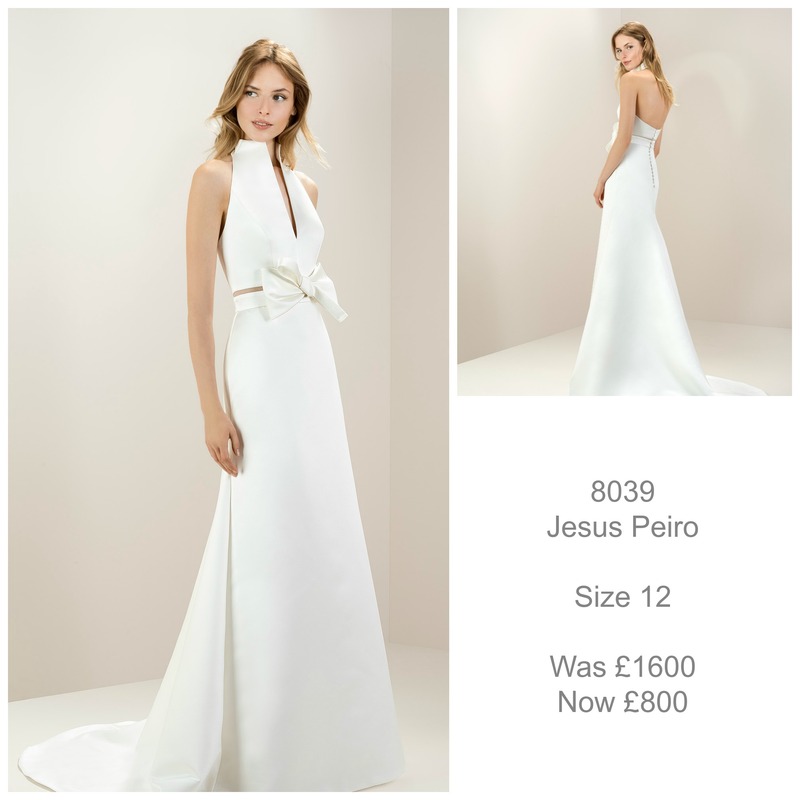 Or for a bride who is looking for a simple wedding dress with contemporary styling then our Jesus Peiro 906 wedding dress is perfect. 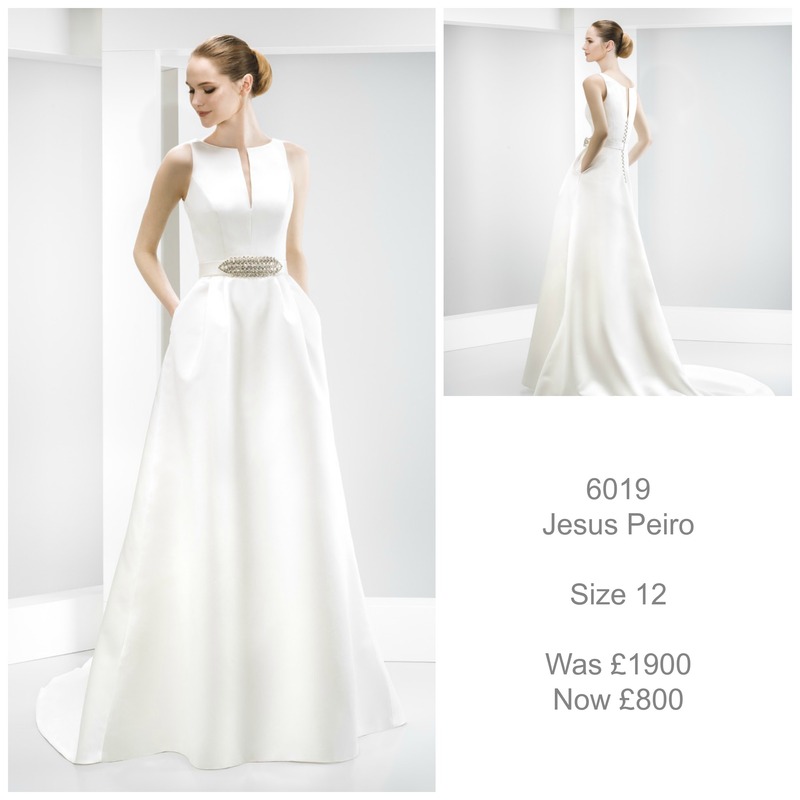 A beautiful satin wedding dress with a slim a-line skirt and dramatic open back. 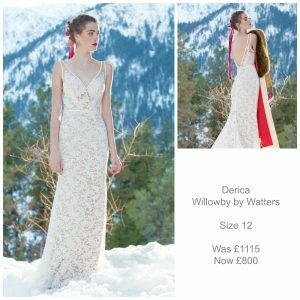 If you are a true boho bride looking for a boho wedding dress then our Willowby by Watters Luna wedding dress is perfect. 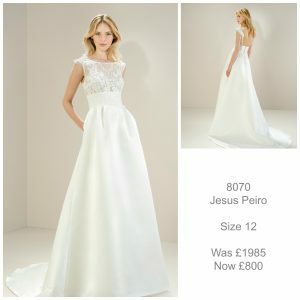 A fit and flare wedding dress of modern lace, long sleeves and fabulous low back ticks all the laid back styling that a boho bride is looking for. 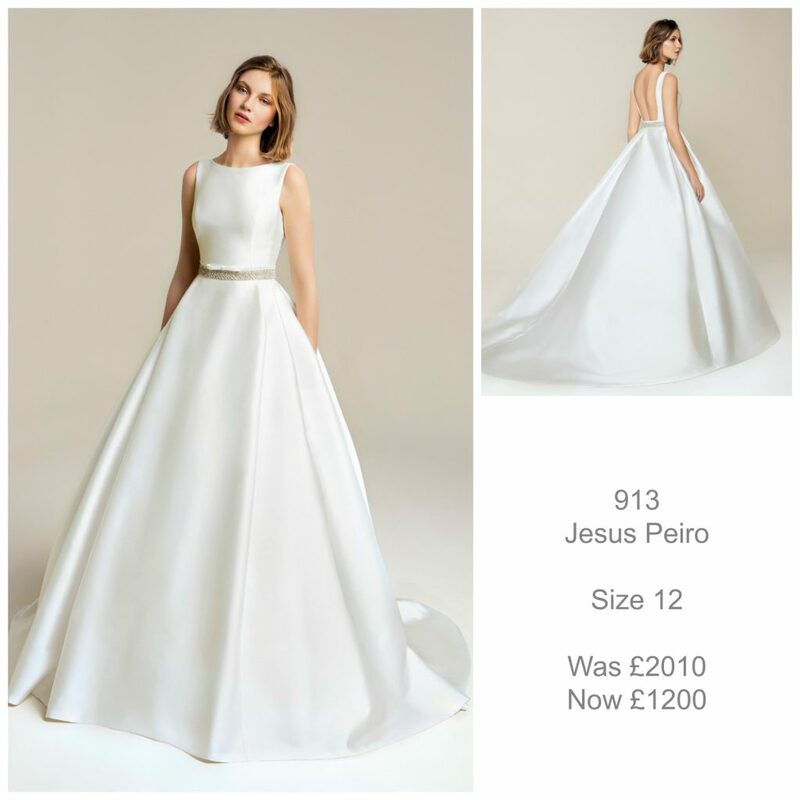 Our Jesus Peiro 913 wedding dress with it’s full a-line skirt, modern mikado fabric, subtle sparkle belt, high neck and and open back is for the bride who is modern but still wants a classic wedding dress with simple elegant lines. Below you will find all of our gorgeous sale wedding dresses, their prices and their sizes. Click on the image title and it will take you to our Sale Cabinet page which will give you a little bit more information about the dress (please note: as this is our sample that is for sale no designer styling options are available, eg. 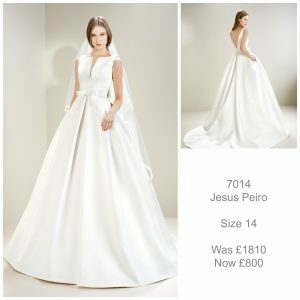 changing the colour of lining. 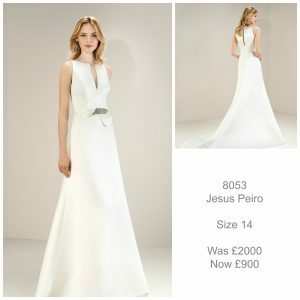 The dress is sold as seen.) 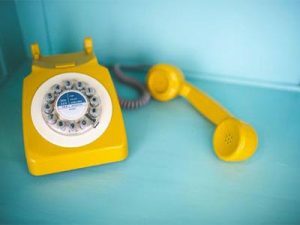 Please don’t hesitate to get in touch with us if you would like more information about any of the dresses in our Spring Wedding Dress Sale.